For many years it has been market practice for banks in Bahrain (and in the wider GCC region) to take undated, signed cheques (generally for the full amount of the loan) from customers as security for loans and other facilities. In the event of default by the customer on their repayment, the banks generally date the cheque(s) in their possession and present it for clearing, and in some cases, even with the knowledge that there are insufficient funds in the customer’s bank account. This results in the cheque(s) being dishonored and the issuer being criminally liable. This allows the banks to then file a criminal case against the customer for the dishonoured cheque(s). 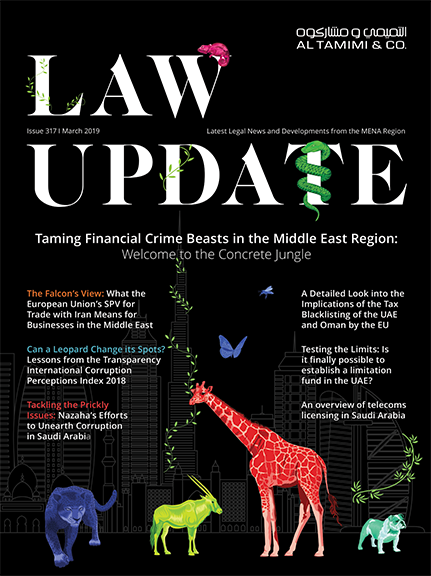 Although this is market practice, this is unlawful under the commercial laws of Bahrain and could result in the banks also potentially being criminally liable. The name of the person to whom or to whose order payment shall be made. If the place of payment if not indicated, the cheque shall be payable at the place shown next to the drawee’s name. If several places are indicated next to the drawee’s name, the cheque shall be deemed to be payable at the place first indicated. When these or any other particulars are not stated on the cheque, it shall be deemed to be payable at the head office of the drawee. When the place of drawing the cheque is not indicated, it shall be deemed to have been drawn at the place shown next to the drawer’s name. The Law of Commerce states that cheques cannot be predated. A predated cheque is deemed to be a forgery. There is no guidance on post dated cheques, although it is common practice for post dated cheques to be used. The Bahrain Penal Code, as amended, states that: “a prison sentence or a fine or both shall be the penalty for anyone who issues in bad faith a cheque which is not adequately covered by a cash consideration that is payable or if he recovers, after the issue of the said cheque, all or part of the said consideration, so that the balance would not cover the amount thereof, or if the drawee orders the stopping of the payment thereof or if he deliberately writes or signs it in a manner preventing the encashment thereof. The same penalty shall be applicable to any person who endorses a cheque to another or delivers thereto a cheque with the knowledge that it is worthless or is not payable. The same penalty shall be applicable to any person who forces another to give or endorses thereto a cheque with the knowledge that it is worthless or is not payable. If the offender’s act in the preceding paragraph was to cover a conventional loan (i.e. with interest) or to cover unlawful debt, it shall be deemed as an aggravating circumstance”. In light of the above and based on case law in Bahrain, in our view, the person signing the cheque would be held personally if they knew that there was insufficient funds in the bank account or generally issues it under circumstances as described in the Bahrain Penal Code. When providing a loan, it is common practice for banks to request the account holder to provide signed but undated cheques covering the amount of the loan as security. This allows the bank to date the cheques and present them for clearing upon an event of default by the customer. Presumably once these cheques are dishonoured due to insufficient funds being held in the customer’s account, the bank would be able to issue criminal proceedings against the person who signed the cheques. Despite this being common practice in Bahrain, the bank is also likely to be held criminally liable under the Penal Code on potentially two grounds, firstly, by making a physical modification to the cheque (caused by dating it) which has not been made by the issuer and secondly, at the time of obtaining the signed cheques or at the time of presentation, the bank was aware that there were insufficient funds in the account to clear those cheques. The second scenario is particularly relevant where post-dated rather than un-dated cheques are given. The issuer could bring proceedings against the bank on these basis and the banks adopting this practice are therefore at risk. It is common practice by the banks in Bahrain to procure cheques in this manner in order to grant any kind of facility, despite being unlawful under the Bahrain Penal Code. In addition, the use of cheques as a form of security is contrary to the purpose and nature of cheques under the laws of Bahrain (i.e. equivalent of cash). Instead of taking signed undated cheques, the bank could take other security, such as a personal guarantee, a pledge over the account, or an assignment, which could be enforced on default. The bank would not be prevented from issuing proceedings against the borrower on default. When a customer fully repays their loan or settles their debt with the bank, the bank must immediately return all of the customer’s cheques taken as collateral or destroy such cheques and inform the customer in writing. In addition to criminal liability associated with dishonoured cheques, the Central Bank of Bahrain will impose penalty charges of seven Bahraini Dinars (“BD”) on each returned cheque for the reasons of ‘Refer to Drawer’, ‘Not Arranged For’, ‘Present the cheque again’, and ‘Account Closed’ payable by the bank. Banks in Bahrain are entitled to charge customers no more than fourteen BD in respect of each dishonoured cheque. Al Tamimi & Company’s Banking and Finance team regularly advises on security creation and enforcement in Bahrain. For further information please contact Natalia Kumar (n.kumar@tamimi.com).